A special program of short horrors, thrillers, and spoofs which will make your heart pound and tickle your funny bone. At Flatline Medical, it's all about the patient as long as you pay the bill on time. Unfortunately if you let your insurance lapse, you may lose more benefits than you bargained for. Cynthia, a young woman, is taken by two psychopaths to an abandoned kindergarten. She quickly turns the tables on them. But who else is watching Cyn? 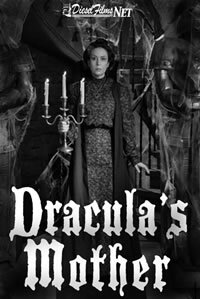 Dracula has invited his fiance, Lucy, home to the castle to meet his overbearing mother. When Lucy arrives, Mrs. Dracula clearly disapproves of her son's choice for a bride. When battle lines are drawn, Dracula is forced to choose between his mother or his one true love. A young man has a recurring dream that leads the audience through a progressively tense landscape of sound and imagery building to a climax that circle back to the starting point. This animation uses Flash, drawing and video to create a narrative style expressing the hallucinations generated during hyper states of consciousness and post-traumatic stress. Can a machine learn to fall in love? Based on a Kurt Vonnegut short story. Most people look forward to celebrating their birthdays with family and friends. But Valentino dreads the day which every year leaves him with unexplainable bruises, scratches, and nightmares. A gold toothed, magenta-haired, 64-year-old woman takes us on a tour through her personal collection of morbid memorabilia. Do you feel bored with your day-to-day routine? Like you're not fulfilling your true life potential? Pleatherface does. And he's got something to sing about it. 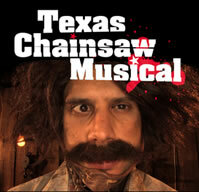 Selected as a 2007 MTV Movie Awards Best Movie Spoof Nominee.